Europe’s notorious Article 11 and Article 13 copyright laws are continuing to move ahead. We last checked in with the copyright laws back in December when it was delayed for the remainder of 2018. 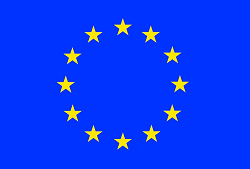 Article 11, known commonly as the link tax, would compel European platforms to pay licensing fees to large publishers. If those platforms themselves are publishers, then the law would compel those publishers to collect license fees for the privilege of linking to their content. The law also explicitly bans publishers from revoking these demands and saying that others can link to them free of charge. This would, in effect, kill Creative Commons news which explicitly encourages the sharing of knowledge and content. Meanwhile, Article 13, known commonly as the censorship machines, would force platforms to implement expensive and ineffective automated censorship algorithms. While YouTube already has something similar through their ContentID system, that system is already notorious for taking down non-infringing material. Additionally, Tumblr tried to implement a similar algorithm to ban pornographic material on their site. The end result was that the policy wound up being a disaster. Non-pornographic material wound up being flagged while questionable material ended up sailing through undetected. As a result, users found themselves leaving in droves. The hard lesson being that automation does not work for filtering out any kind of targeted material. With these laws, there are a lot of fears over what it could mean for the future of a technologically competitive Europe. Since implementing “censorship machines” is expensive, that means that it raises the barrier for innovative platforms to even try to enter the market. Many say that this could mean that only the largest platforms will be able to survive, shutting out the Facebooks and YouTubes of tomorrow. Another fear is that the laws would undermine Europe’s competitiveness in the world of news. Since the news organizations operating in Europe are the only ones affected by the link tax, for instance, then they would end up at a severe disadvantage against non-European sites. If non-European sites don’t have to pay the link tax, then a site from, say, New Zealand, would automatically have an advantage over European grown news sites because of the smaller cost overhead. These are a few reason why a number of people are saying that these laws would negatively impact free speech and competitiveness as a whole. It’s also why 4.4 million users have signed onto a Change.org petition decrying the laws. Unfortunately, as time ticks on, the window of opportunity to put a stop to all of this shrinks. So, digital rights advocates and organizations are going to try and gather as much momentum as possible at this point. There may not be another opportunity down the road to salvage the future of the Internet in Europe.